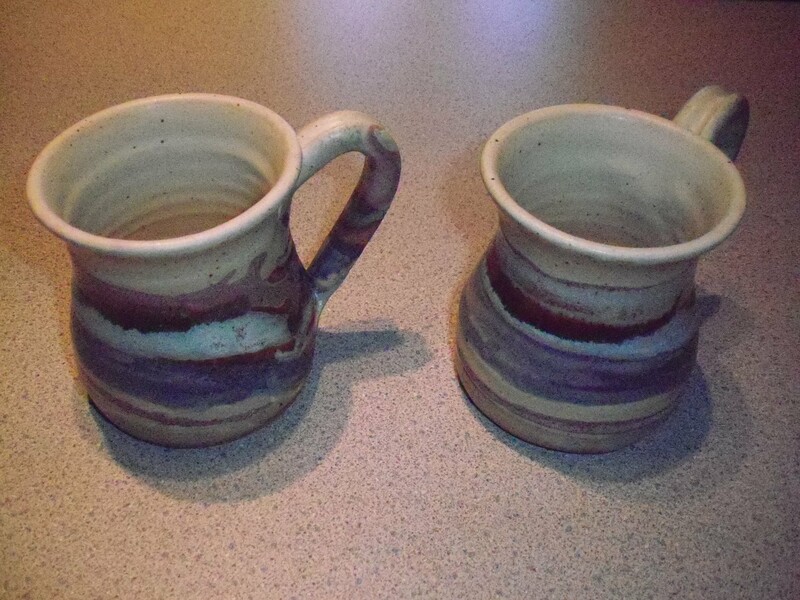 My appreciation for pottery has bloomed since a lovely summer day in Seagrove, NC in 2007 with long time friends. The methods, colors and specialities of the artists are wonderful. The uniqueness of the studios was delightful. 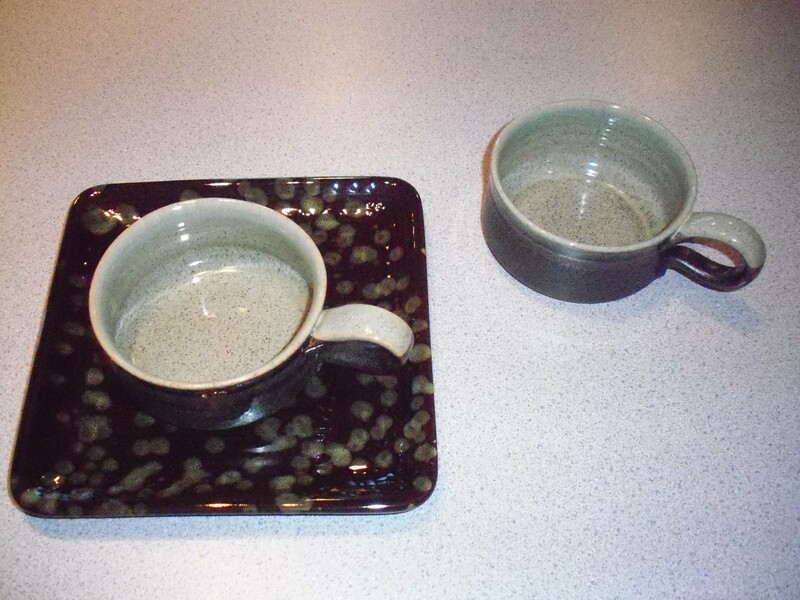 Since then, I purchased these pairs of pottery bowls at Talbot Street Art Show (Indianapolis). I matched them with department store plates in coordinating colors. 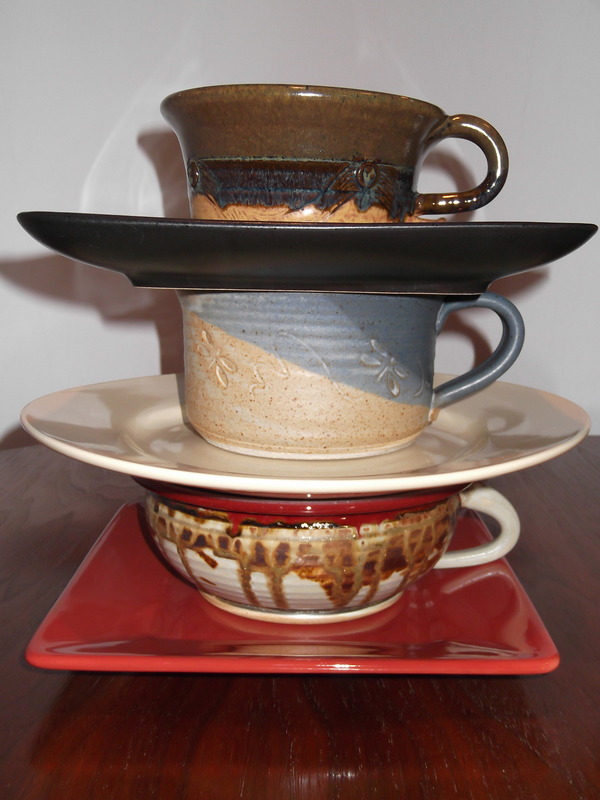 When I get my hostess act together, I can serve 12 using six different pairs of bowls/mugs. 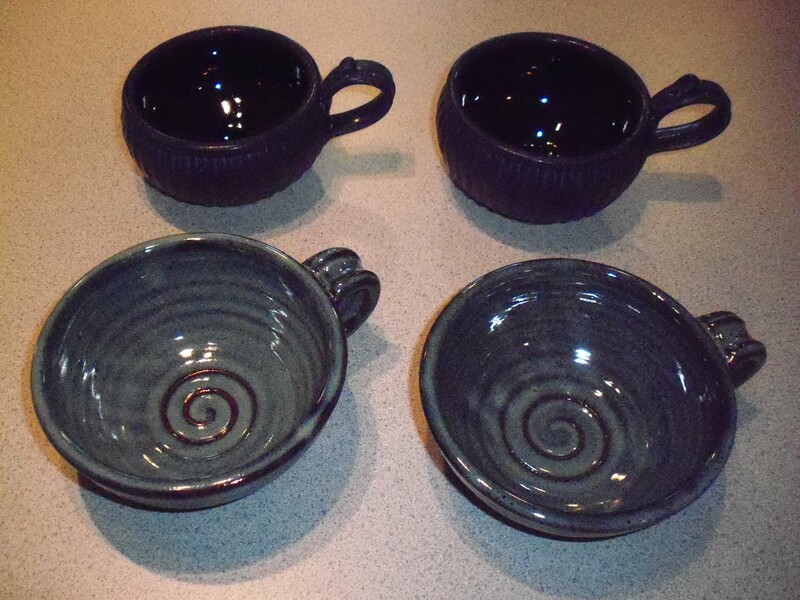 Soup, chili and/or stew served in pottery appeals to one’s senses of touch and vision in addition to taste and smell.